Gas Furnace Not Working – Now What? We all take heat for granted. We have grown accustomed to warmth on demand. Cold? Flip a switch or adjust a knob and within minutes, hot air bathes us in comfort; unless your gas furnace is not working. Then our idyllic reality is shattered and we want answers in a hurry. Furnaces usually take long vacations during the summer months. When you finally decide the heavier blanket is not cutting the mustard in the early morning hours, you want your unit to get back to work. Most of the time it ends its hiatus without protest. Sometimes, it is more stubborn. If your gas furnace is not working, there are a few things you can do to troubleshoot the problem. Here are the most common. 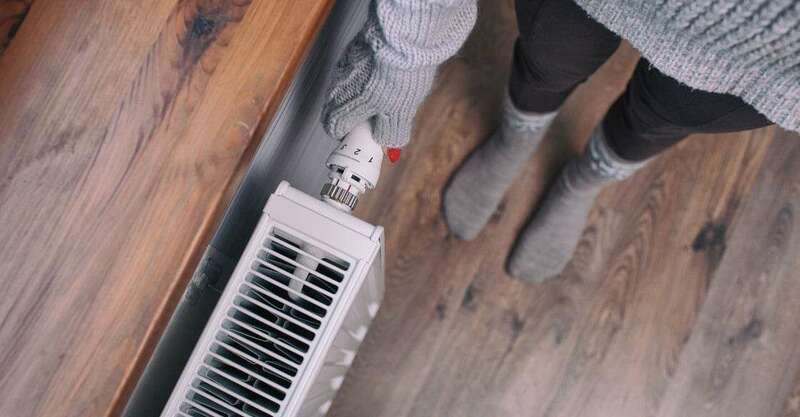 Before calling in a heating repair professional, spend some time diagnosing the problem and seeing if you can fix the problem yourself. If you smell gas, you must respond immediately. This can be very dangerous and should be addressed as soon as possible. If you don’t immediately discover the source of the odor and the smell is strong, exit your home while also leaving the door open. Do not flip switches on the way out and do not stop to gather anything you find invaluable in the moment. Once outside, turn off your gas supply at the valve near your meter. The valve is closed when it is perpendicular to (or across) the gas line. Contact a professional to assess your situation and provide service. Thermostats can be sensitive and when malfunctioning, can prevent your furnace from doing its job. Make sure the thermostat is switched to heat, the fan is on, and the temperature is adjusted to your target warmth. Remove the outer cover and clean the unit if it appears dirty. Older devices need to be perfectly level, so if the thermostat has been moved, make sure it is put back in its original place on the wall. For a furnace to work it needs to draw in air and push it back out again. If either the return or the vents are blocked, the furnace cannot do its job. Filters should be checked at least every three months and most manufacturer’s recommend monthly replacement. Remove any obstructions from vents inside the home so static pressure in the system will distribute evenly. Sure, your furnace runs on gas, but it still needs electricity to function. Locate the correct fuse in your service box and check to see if the breaker is tripped (flipped up halfway or in the off position). Return the breaker to the on position to restore power to the furnace. If the breaker continues to trip, there may be an electrical problem with your furnace or your home’s wiring, which will require a professional to diagnose and repair. A furnace needs an ignition source to light the gas and provide heat. Depending on your unit, you may have a pilot light or an electronic ignition. Either system can go bad over time and need repair or replacement, but sometimes the solution for a furnace not working is as easy as relighting the pilot light or replacing a thermocouple. Like most home systems, furnaces which sit for long periods of time may have developed an issue when idle. It’s a good idea to test your furnace with a trial run before you will absolutely need the warmth it provides. If it does not operate correctly, and you cannot troubleshoot the cause on your own, call a professional for home heating repair service.